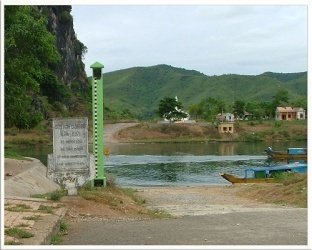 Tra Ang springs located along 20 - Decision Win section from km 10 to km 16, of the division of administrative services National Park Phong Nha - Ke Bang. Son river with aqua blue continent winding the Ke Bang limestone mountain as unique embellished every guests visiting Heritage Song Son Phong Nha cave and tied to many legends, but legends about fidelity in love always leave a lot of memories in the tourists. From the years 1964-1965, the anti-US resistance war for national salvation of our army and people have stepped into a new stage, won the basic victory. 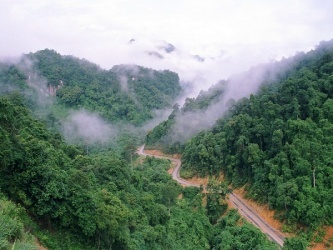 National Park Phong Nha-Ke Bang existed a historical relic of our army and people in the protection of independence and national reunification. 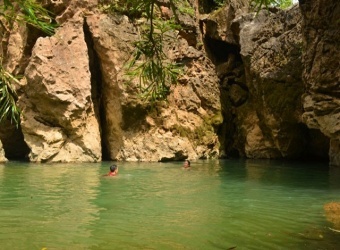 "Located in central of Vietnam, Quang Binh is 500km south of Hanoi and 1000km north of Ho Chi Minh city. 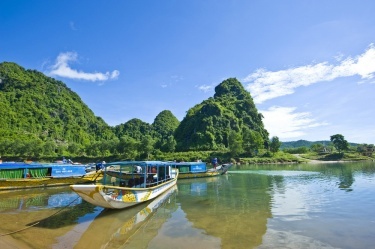 Phong Nha – Ke Bang National Park was recognized as a world natural heritage the second time for the criteria (viii) of geology and geomorphology, (ix) and (x) of ecosystem and biodiversity..."